Tooth roots bring blood flow and important nutrients to the jaw — and after you have lost teeth, your jaw bone will shrink due to disuse and the loss of these nutrients. Reabsorption of tissue robs the existing natural teeth of their sturdy foundation, meaning they are more likely to get loose and fall out. Patients who have been missing teeth for many months or years will likely have experienced a significant amount of bone loss which can increase the risk of dental implant failure. Gum disease also results in loss of bone tissue. What Is Bone Tissue Regrowth or Preservation? Fortunately, not all hope is lost for patients who have experienced bone loss due to missing teeth or gum disease. Your implant dentist may recommend a bone graft to spur the growth of deficient tissue. During this procedure, healthy bone is taken from elsewhere in the mouth or a donor and added to the area where it has been lost. The dental implant can sometimes be placed at the same time as the bone graft is placed, but a brief healing period is often required first. Another option for keeping the healthy bone tissue in place is socket preservation. This procedure may be recommended right after a tooth is extracted. By placing healthy bone tissue into the area of extraction, your dentist can prevent the gum and bone tissue from collapsing — creating the proper environment for successful dental implants. Gum tissue, membrane, or special proteins cover up the bone until the dental implant can be placed. Your implant dentist or oral surgeon may recommend a procedure for bone regrowth or preservation, but there are some things you can do on your own to help make sure that you have the proper oral environment for dental implants. Even if you have lost bone tissue or have a tooth extraction coming up, you may still be able to benefit from dental implants in Wakefield with bone preservation or regrowth. And that’s fantastic news! Dr. Rob Schumacher is a restorative dentist who has completed advanced training in prosthodontics and a number of other dental specialties. 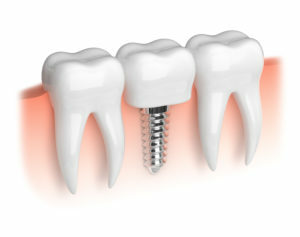 He encourages patients who are eligible for dental implants to choose this highly effective tooth replacement method. If you have questions about implant dentistry, get in touch with Dr. Schumacher by calling (781) 463-5162.